Our wide variety of manicures and pedicures will enable you to get your hands and feet into perfect condition, looking both beautiful and youthful. Bijou hand and foot treatments include everything from manicures, pedicures and rejuvenation to varnishing, overlays and gems. So every now and then, it’s worth taking some time out to repair the damage and enjoy the luxury of a facial with the Dermalogica skin care system. You’ll be amazed how much fresher your face will look and feel. We use the Jessica natural nail care system, which enables us to create your own personal nail care programme. Includes cuticle work, nail cutting, filing, hand massage and polish application. We deeply condition, massage and moisturise your hands as well as carrying out cuticle work, nail cutting, filing and polish application. Nail filing, shaping and polish of your choice. We deeply condition, massage and moisturise your feet as well as carrying out cuticle work, nail cutting, filing and polish application. Toenail filing, shaping and polish of your choice. Applied like polish, performs like gel. 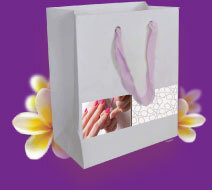 Extend your manicure by up to 3 weeks with this fabulous treatment from the natural nail company. 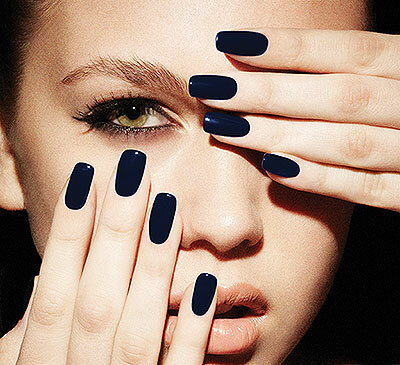 Full soak-off includes nail conditioning treatment. To repair breaks in the nail and prevent further damage.